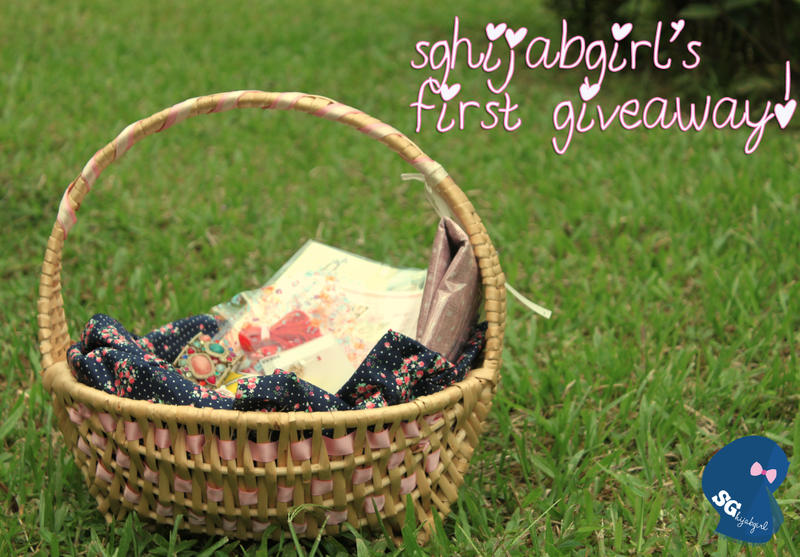 sghijabgirl by Nadya Abd: SgHijabGirl's first giveaway! Finally, the giveaway I've been talking about for a long long loooooooong time! I promised that I'd do a giveaway once I hit 100 likes on Facebook but I've gotten 300 now (thank you thank you thank you!) and er, I finally got round to writing about it! Sorry! Anyways, its pretty self explanatory, I threw in everything and anything that I love and goodies that kind of revolves around SgHijabGirl (actually there's more items but my bestfriend convinced me to keep that for the second giveaway heheh) More details and instructions on how you can win this giveaway below! All the best! Super lovely bracelet from H&M! Don't you just love the different colors on it? Matches any outfit! Click here to go to the giveaway form! leave a comment answering the questions below and your email! your name and something about you! blazers are my bestfriend, what's your favourite piece of clothing and why? extra entries: please leave separate comments for every entry, the more entries, the higher chances of winning since I'm using random.org to select the winner! 1. I am Nur Khairin and I am 20 this year. I am currently a 3rd year diploma student. Having an ambition to be an engineer in the near future, InsyaAllah. 2. I love my jeans. I can never go wrong with it. Jeans can turn my super formal blouse into a fun, informal top. It's one item I can NEVER live without. 1) My name is Wahidah ( people call me Ida!) and I am turning 22 in 15 days on 4th Feb! I dream of travelling the world one day. Insyaallah. 2) I love maxi anything - dresses or skirts. When I put it on, I instantly feel girly! I am going to build a wardobe of them insyaallah! My favourite clothing piece of ALL TIME is Maxi skirts . I love them soo soo much . Even though I just have two of them , every opportunity I get , I'll use it . So , I use it pretty much everytime I go out !! And love tht you do posts abt maxi skirts !! My twitter name is @putrithehamster . i share this on facebook , but from my friend's account (Hazirah Aidil). I'm zimah, turning 21 this year! I'm from Singapore too. I'm currently studying, in a first year in my course. I have a thing for adventures and outdoor activities. I used to not like shopping until recently. But I still can't find the joy in shopping for branded goods. I am a fan of blazers too but I can never find reasons to wear it out since I don't really like dressing up to school. I'd like to know where you get your blazers from, they're pretty! I have to say that my favourite piece of clothing has got to be maxi skirt's because firstly they hide what needs to be hidden and they elude a feminine glow to the one wearing. I have been trying to go bold with the colour choice for my maxi skirts recently. And it's been really fun! 4) I'm a new follower, but I would love to see more photos! My name is Kristina, and I'm from Croatia. I'm school lybrarian and I love my job and kids. I also love DIY projekts and kreative works. I adore clothes and make-up. My favourite piece of clothing are sweaters and vintage stuffs. I have more than 10 sweaters anfd I combine them with nice romantic t-shirst or shirt. I would like to see more diy projects on your blog (to wake my imagination). 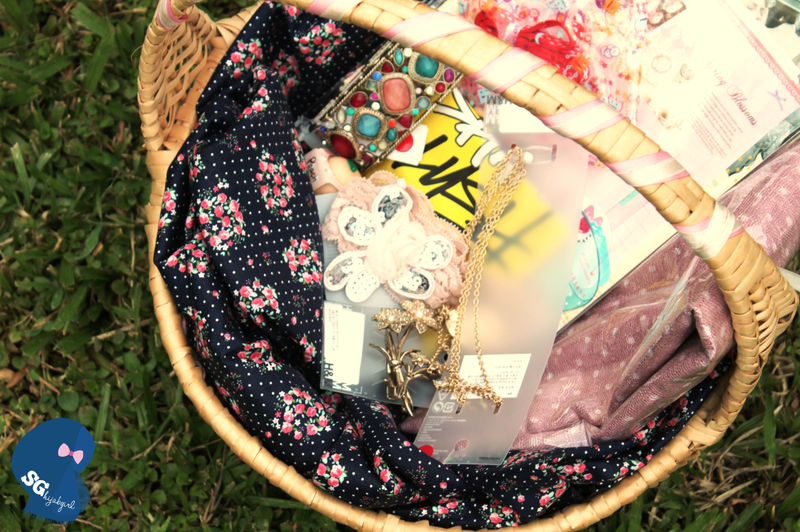 I shared about your giveaway on my facebook, and I like your page there. 3. My name is Selma. I'm 23 years old and I m a student of dentistry. My favorite piece of clothing would be my tank top :) It's easy to match and you can match it with many other accessories too! I love vintage tops! Like any kinds of tops, as long as they look so vintage-ish. :D I think vintage clothings are beautiful. Not everyone wears them and it's not common. You can wear them, style them in any way you like and you'll look great no matter how you try to match them with any bottoms or shawls. I am also into those Indie kinds of theme (if that's the right way to say it) and so, I'll try to dress like the olden times. Vintage tops are just a perfect match! Would love to see more outfit of the days, and DIY! 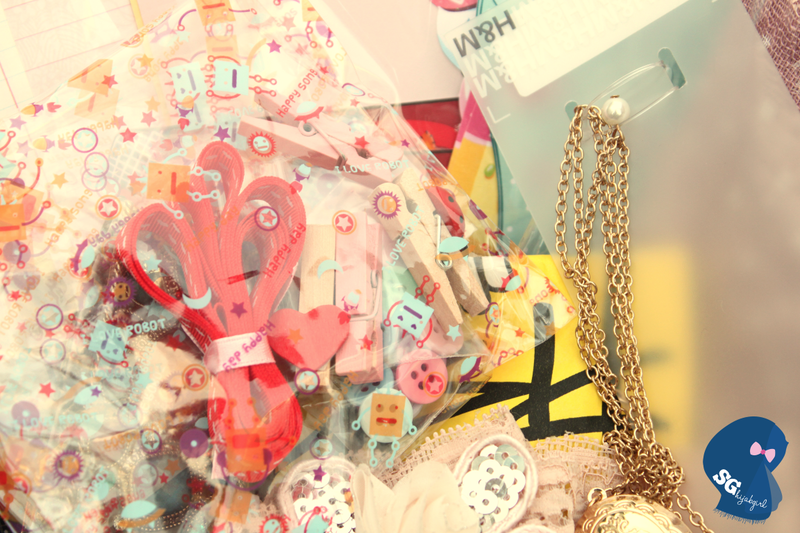 As I love creating, decorating things for the people I love, more DIY or links in it will be of a great help to me! I'm Afiqah, currently in NIE Year 3. Majoring in Geography & I just got married! 1) Hello! I'm Faiz and I love triangles, animals and enjoy travelling. 2) I cannot leave home without my colourful bracelets. Heh!